Beer valves are used and are considered the on-off switch of a brewery to keep your beer flowing, or not flowing, which are important to every brewery operation. Whether your have a brew house or a home-made setup, beer valve can accuratly control the flow between tanks and brewing steps, which can ensure a high quality beer. Throughout the brewing cycle, numerous different liquids and gases are brought in and out of the tanks. Depending on the step and the design of the brewery equipment, different valves are used to correctly and safely move the flow. Typically, throughout a brewery’s equipment you will find a mix of butterfly, ball, globe, gate, check, needle, diaphragm, and solenoid valves. Each valve has their own advantages and disadvantages for different mediums. CFS Investment Casting is the professional stainless steel casting manufacturer that has rich experience in casting and machining beer valve bodies and other components. 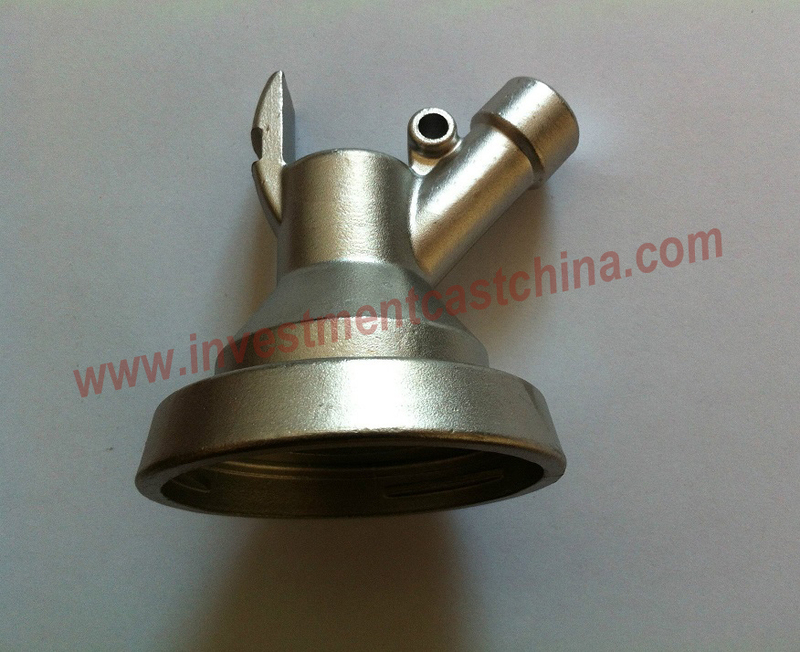 Why Stainless Steel Casting of Beer Valve Bodies? Unlike forging, stainless steel casting uses the liquid form of metal to create beer valve bodies. Stainless steel is melted into a molten liquid and poured into the mould. Once the liquid cools and solidifies, it’s broken out of or ejected from the mold. One of the biggest benefits of casting is that it can create stainless steel beer valve bodies with complex shapes, patterns, and sizes. Using a mold to manufacture these devices gives you more freedom to make different types of beer valves with more intricate parts. Casting beer valves are also a great cost-effective solution for many companies. It allows you to make valve bodies using more types of stainless steel grades. Plus, since it doesn’t require as much labor as forging valves, casting helps to reduce machining costs, especially when creating valves of complex shapes. Most importantly, casting beer valves provides an easier and less time-consuming way to make replacement parts when beer brewing system’s current valve bodies break down and deteriorate. Why 303 Stainless Steel Grade for Casting Beer Valve Bodies? 303 is the most readily machineable stainless steel casting grade to produce beer valve castings. Type 303 stainless steel has mechanical properties that are comparable to both 304 and 316 stainless steels. The primary reason to use 303 to cast beer valve bodies is when you need a stainless steel with machining capabilites better than that of 304 and 316. It has roughly the same corrosion resistance as 304, but not as good as 316. The machineable nature of Grade 303 stainless steel is due to the presence of Sulphur in the steels composition. While the Sulphur can improve machining of cast beer valve bodies, it also causes a decrease in the corrosion resistance and a slight lowering of the toughness. Although corrosion resistance of grade 303 stainless steel is slightly lower than that for 304, the toughness is still excellent as with other austenitic grades. More improtant is that cost of 303 stainless steel casting beer valve bodies is also lower than other stainless steel casting grades.